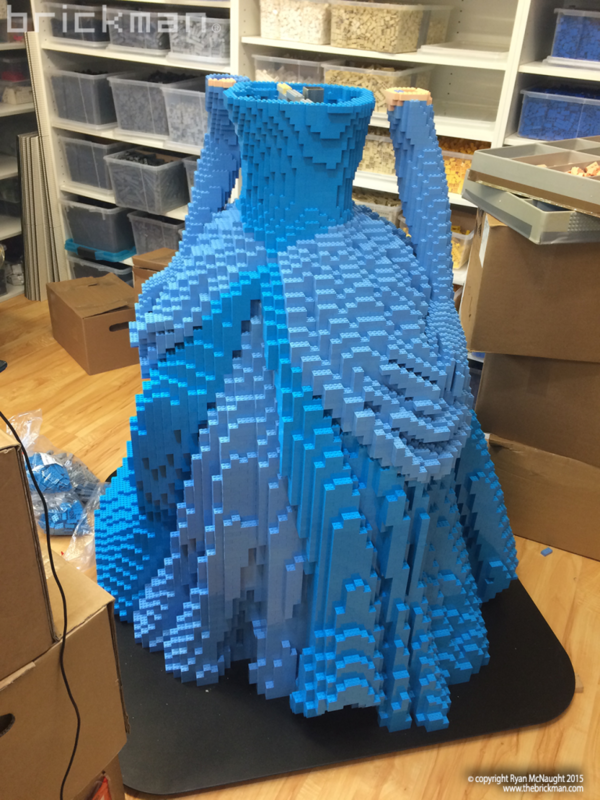 Back in 2015 we were tasked with creating a life-sized Disney Princess​ Cinderella​ from LEGO​® bricks! 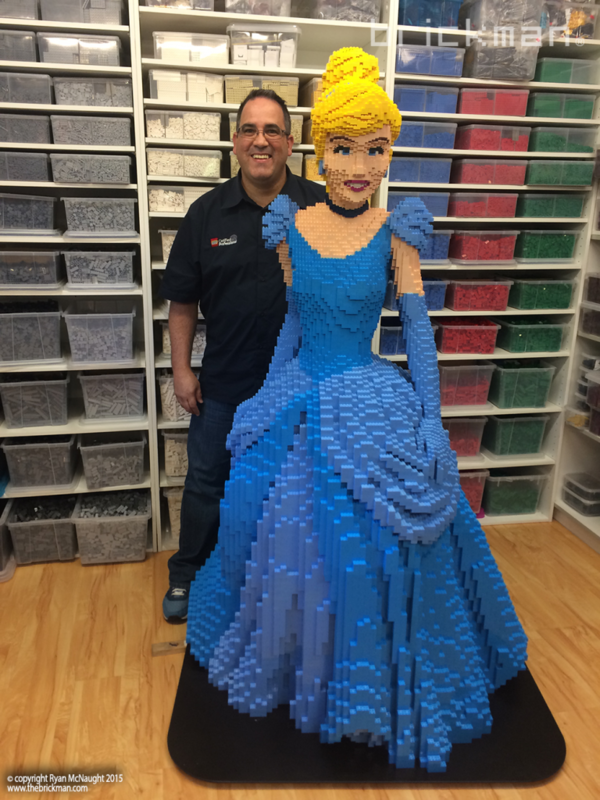 We built Cindy ( as we called her in the workshop) for a Disney event where kids could come and have high tea with real-life Disney Princesses. 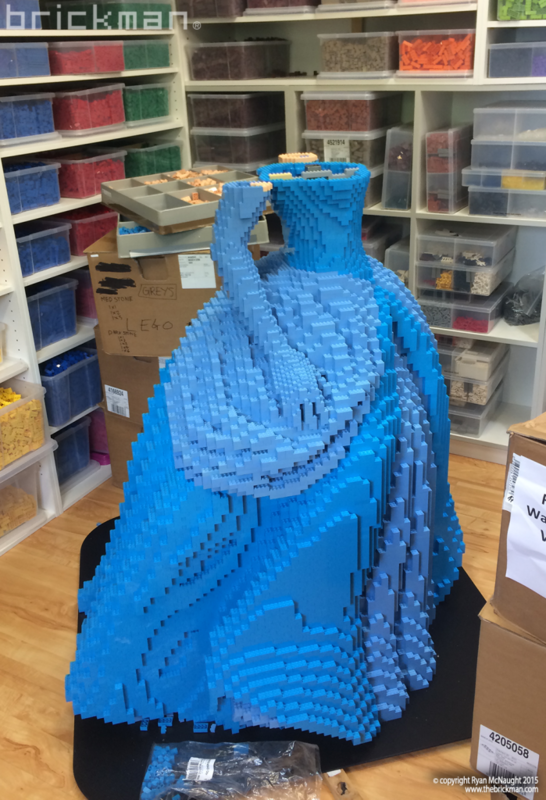 Apart from her size, one of the toughest part of building her was the very limited range of parts we had to work with in the colour of her dress- a dark azure colour which at that time was only in existence thanks to LEGO Friends​. 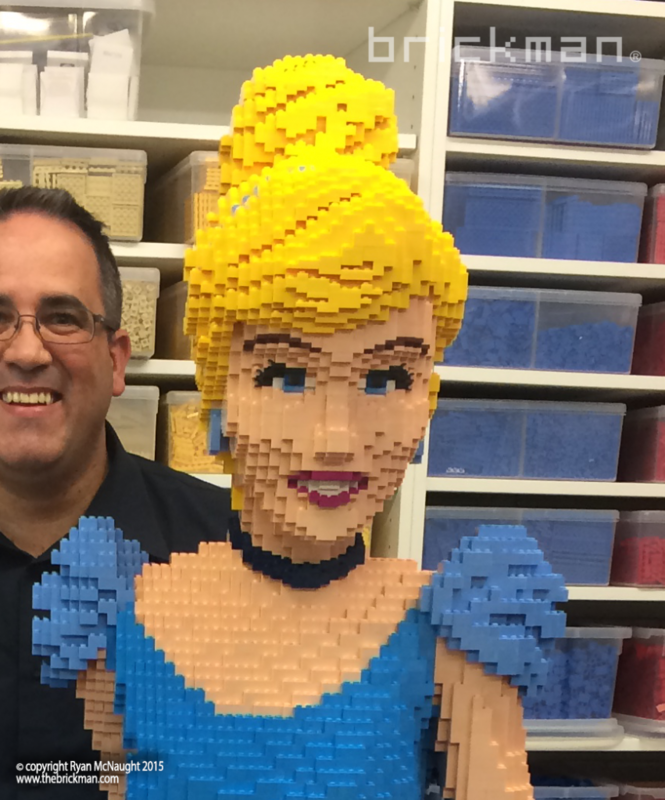 The Cinderella model was designed by the now retired Master Model Builder Steven Gerling- who’s designs have long been an inspiration for Ryan. We still had to make a few tweaks to get the model to work with our parts range, but I think you can agree Steven did an amazing job designing her! to create her head and arms. Cinderella is now in display at Myer in Melbourne- so go in and say hi when you’re next in!